Gaskets cut for military applications are numerous whether in the air, on, or below the sea or just on the ground; - RFI and EMI gaskets protect valuable electronic equipment and avoids detection. Submarines have our gaskets and diaphragms on control valves and visual equipment. 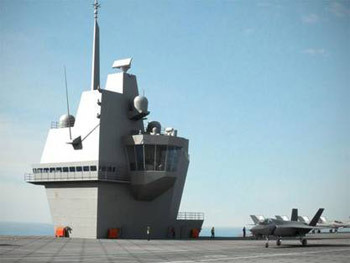 WE have supplied large EPDM extrusions for the latest version of the Royal Navy aircraft carrier. Filtration gaskets and seals are supplied for air intake filters for tanks and armoured personnel carriers. Thermal and sound insulation and gaskets are used on ground equipment to cool aircraft cabins.